With more than 50 years of continuous growth, present in 30 countries and 12000 employees, Elecnor is one of the most prominent Spanish groups and benchmark in the infrastructure renewable energy and new technologies sectors. 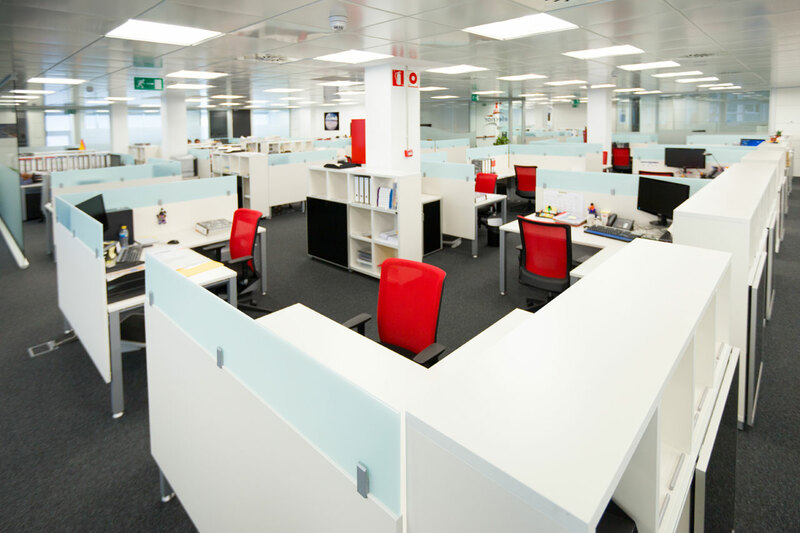 The result of this constant evolution brought about the project, the new headquarters of Elecnor in Madrid, and which has been furnished by Actiu. The project has covered all the company's organizational structure, optimizing in each case the most suitable furniture to develop the respective tasks in an efficient and comfortable way. The workstations have been equipped with the versatile program Vital and the evolving Vital Plus 60, which enables you to configure straight, double, progressive and ergonomic desks, that adapt in a flexible way to different needs. 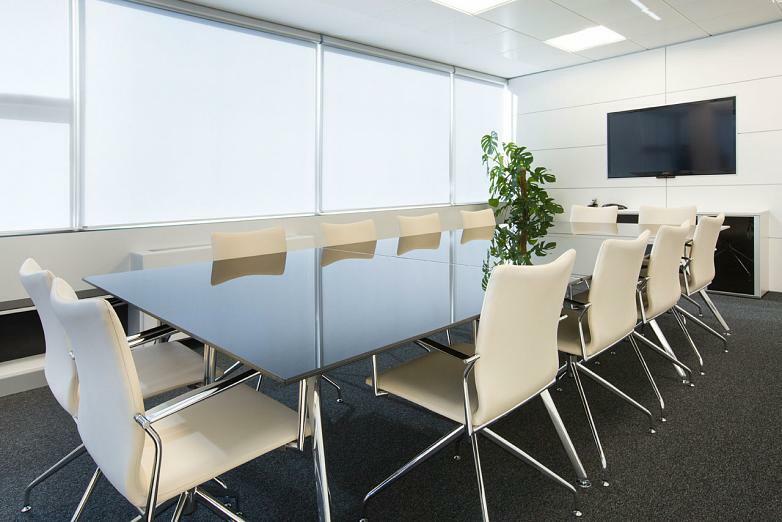 Furthermore, they have used Table top Dividers and the different models from the range of Cubic for closed spaces to create private environments. Each work space has a metal pedestal for filing. 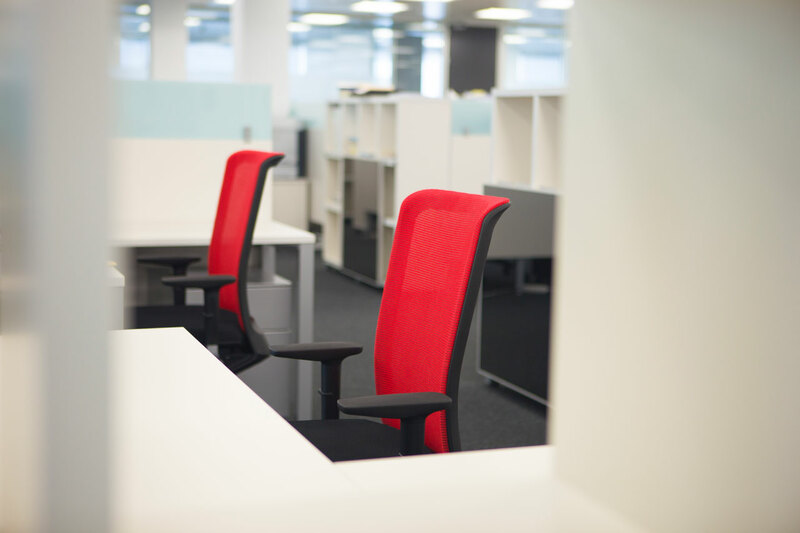 For the workstations, as well as in the offices of the delegates the Winner chair has been used, with a back made of elastic mesh in red which facilitates perspiration of the back. 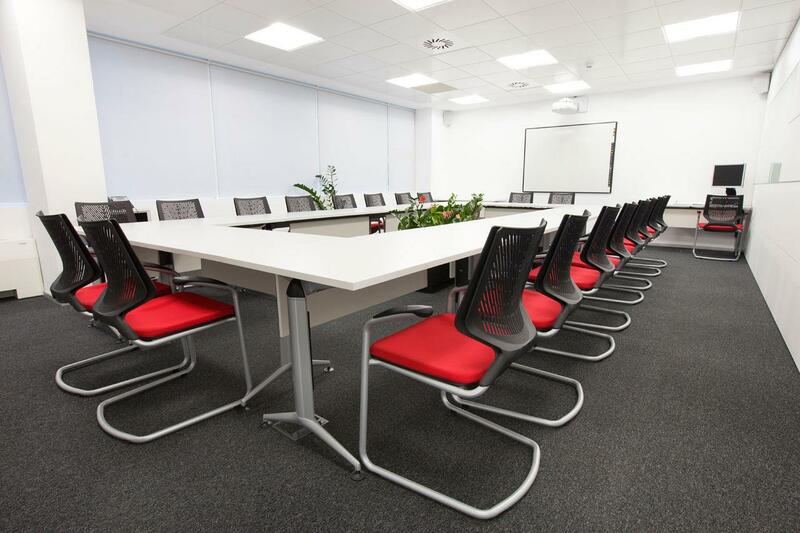 The program of Trama desks were chosen for training rooms. 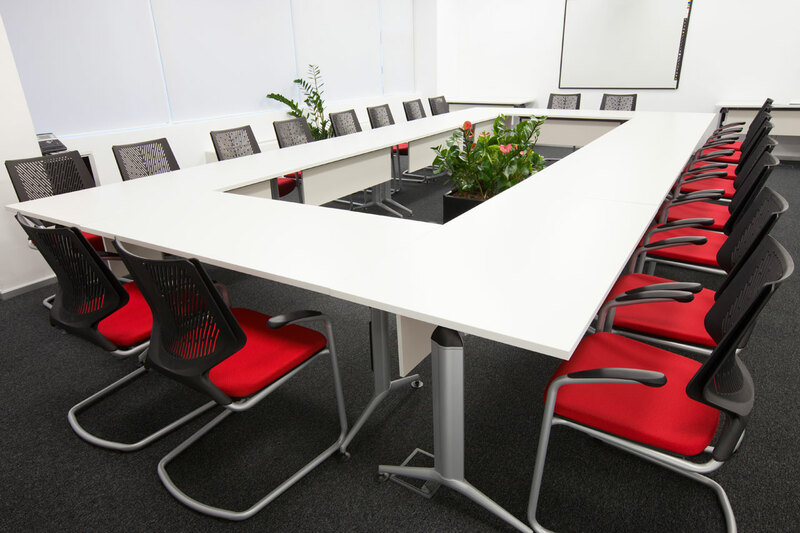 These have been placed in a configuration of a square with the capacity for more than twenty people, plus the trainer who has an independent desk. 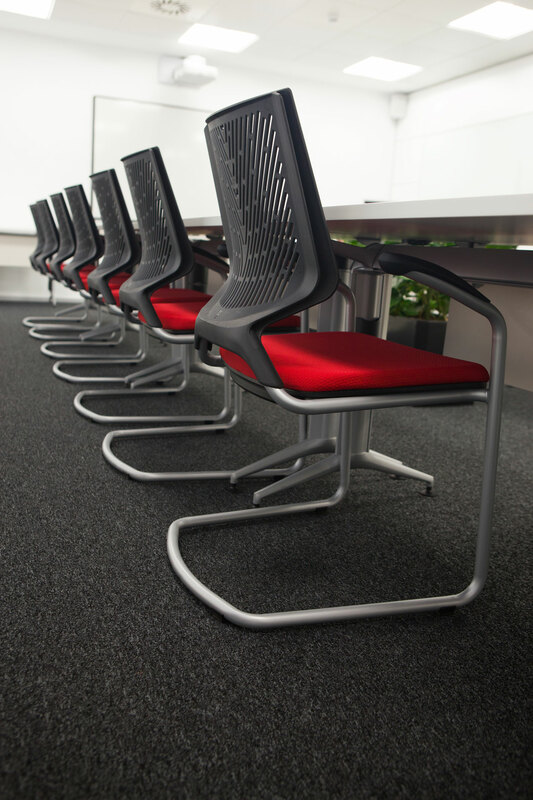 It has been complemented with the TNKID chair, cantilever model, with a back made of polypropylene and with a red seat. It is a versatile and creative product, developed from the concept of the TNK chair. 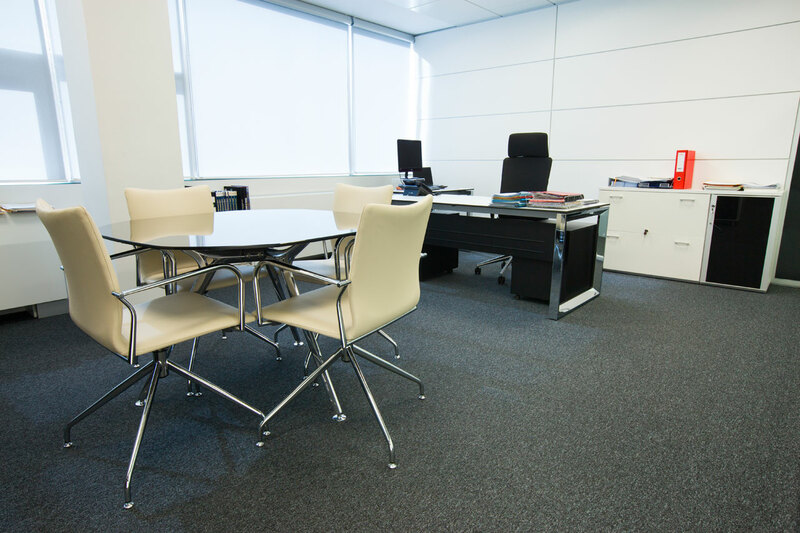 In the management and the assistant managers offices and the meeting rooms an elegance of cream tones have been used along with black and lightness of metal. The Ikara chair in light upholstery, with a swivel base with auto-return and arms and legs finished in chrome, confers a touch of class and exclusivity to the space. 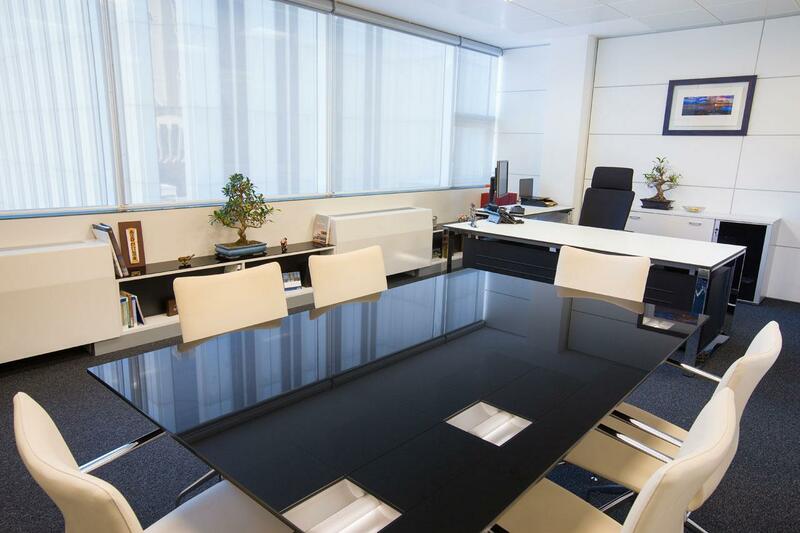 It combines the avant-guard desk Arkitek with a glass top made of laminated safety black glass. 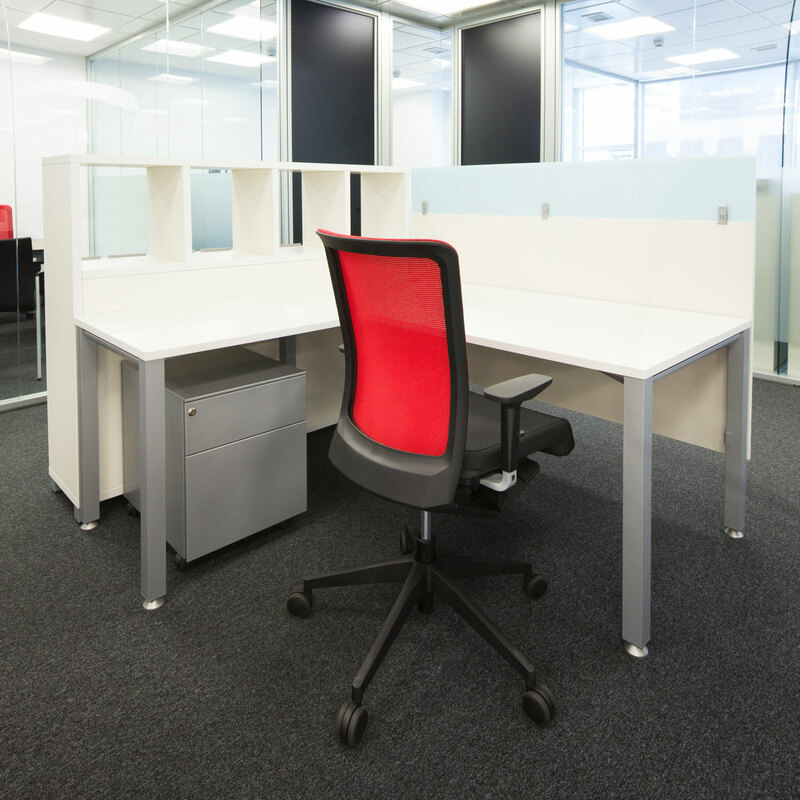 The management desks use the model Vital Plus 60, with the structure of a closed chrome frame. 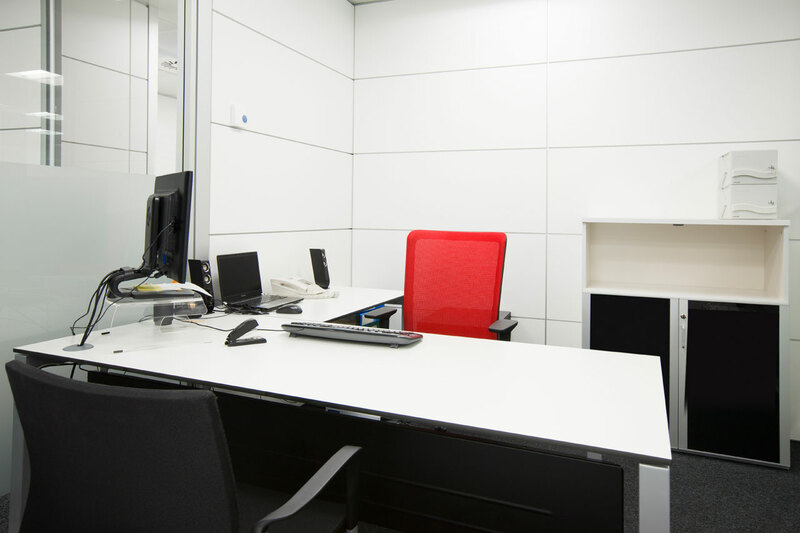 The Winner chair with headrest and filing models from the program Cubic, with modern aesthetics complete the management positions. Various versions of the program Arkitek have been used to create meeting environments, taking into account four options, six or twelve components.